As he calculated the hard-saved money under the dull light, his lips curved into a smile. His wife had openly alleged that she was unloved by her husband. Every time she had rushed into explaining about the no-gifts received from him during their one year of marriage, he felt reduced to dead broke. Finally, she had left him to stay with her mother. Being heartbroken, both husband and wife had started speaking broken English. They started conveying their woes to their non-native neighbors. In an overemotional and exaggerated tone, she said, “You see, anniversary, birthday, valentine’s day, new year and other festivals, all went without a gift, not even a rose. No more stay with this beggar!” Then she would cry, reminding the worst Pokemon cries. On the other hand, he would say, “Money comes, money goes, money stays with me not, just like her!” He would sit like a monkey whose only banana was snatched by another. With six months of diligent effort and having saved enough money to buy her a gold necklace, he headed to the jewelry street of the town. It was dusk. He dreamt that the moment she would set her eyes on the necklace, she would seize her bag and return with him. As he proceeded, a hand as smooth as rose petals, snatched his wrist. Coming back from the dream world, he observed a pretty damsel. Overwhelmed with grief, she informed him about her mother being hospitalized for life-saving surgery. If she couldn’t collect the needed money within an hour, she would lose her only family. As it was dusk, no one was ready to lend her a loan*. She offered him her 30-gram gold chain and begged to give whatever money he had to save her from becoming an orphan. At the minimum, he was spotted in the jewelry street. A charming damsel in distress! His simpleton village heart melted. Intending a purchase of 24 grams gold necklace, an offer of 30 grams gold chain for lesser money appeared a profitable deal! As the damsel ran away with his offering, he felt contented. The following day, he went to sell the gold chain only to find it was a beautiful strand of rolled gold. *In many cultures, lending money or items in the evening is considered a taboo. It was the Christmas Eve. The grand family meeting was going on. Children did their own business which others couldn’t decipher. Everything was perfect. Everyone was happy. Though all eyes, and ears, were in Irene’s way, none saw anything. Irene has been a shy and quiet person always. She shouted bringing all the merry to halt. Until her death, she kept reciting those words, typical of schizophrenics. Today my mother joined us for Christmas. The way she described our living room, sent chills down my spine. Once again she was seen smiling and everything seemed normal, at times perfect. She was feeding the baby putting him to sleep, even planting kisses on his tiny adorable face. Her colorful garden betokened her aesthetic taste and personal style. The family rejoiced in the strength of the medicine. Her heart pounded with contentment and gratitude. Life in a feathered nest! Out of the blue, the earth pronounced to align between the sun and the moon. The blood moon made her queasy. Queasy pops gave way to antidepressants, which were equally futile. The garden was in bad. Thenceforward the baby was fed formula milk. Every grain of the beach sand started glistening as the setting sun rays waved them good bye. The middle aged man and woman found their way towards the rock they claimed as their own. Loving an inanimate object, as hard as a rock, assures emotional feelings attached to it. That rock was their favorite spot for 32 years. Before marriage their beach visits happened every weekend carrying rustic bread rolls, unique to Reiners Bread & Snack shop. They talked, they laughed, and they shared the snack which remained his favorite. They sat silently. They were in love. Getting married changed up their routines. Their already infrequent beach visits dwindled, it was merely twice or thrice after starting a family. When life demanded relocation to assume increased responsibilities, they obeyed. The love rock and the bread rolls stayed in their heart but were no more in their life. The couple missed them both very dearly. Fantastic events of the initial decades of marriage gave away to run-of-the-mill days. The humdrum encouraged them to go back to the familiar place. 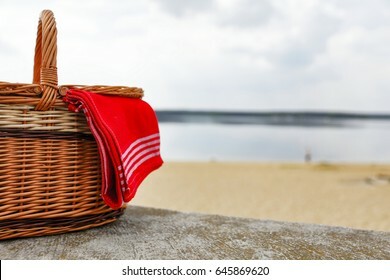 They decided to celebrate their 25th wedding anniversary at the love rock with just the Reiners bread rolls and wine taken in a basket. In the evening, they reached the beach. Both of them enjoyed a regained life. They sat on the love rock silently. The sky appeared lovely with a blaze of pinks and oranges. She was startled by the completely unrelated question. Before she could respond he shivered, went numb and was seen lying on the rock leaving off the snack basket. The bread pieces fell off his hand onto the rock. A cry for help was all that she could remember. All efforts proved fruitless, for he had started his return journey too early. Ten days after the funeral she visited the beach. She believed he was still lying there on the rock, expecting her. All she found were the mouldy bread rolls left by him on the rock. “Oh dear, you left those for me, didn’t you?” She cried. People noted the woman insanely picking up something from the rock, and eating.